Squash-faced and plucky, the Japanese Chin is one of the most sought-after purebred pups because of their overall squatty, adorable look and good health. These pups are at risk for the normal health conditions that plague all dogs, such as heartworms and heart disease, but they are also prone to breed-specific health issues. 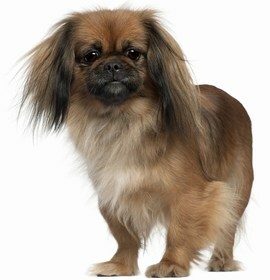 This is especially true for smaller-than-average Japanese Chin pups who weigh less than 4 pounds. Growth plays a crucial role in the health of a Japanese Chin, so smaller-than-average puppies are at a bigger risk than those on the average-to-larger side. This condition is usually the result of an underlying disease or more serious health concern, such as genetic heart defects, heartworms, heart disease, or weakened heart valves. Thorough vet examination, inclusive of X-rays and blood tests, are required to rule out any diseases, and accurately pinpoint the cause. Treatment depends on the underlying health concern. 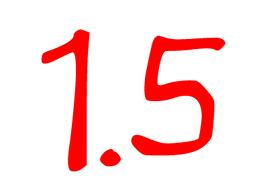 There are no outward symptoms of a heart murmur since this condition is a symptom in and of itself. The vet will find the murmur during a routine examination. Symptoms of this condition include weakness, a blue tinge to the skin and gums, muscle spasms, twitches, full-bodied trembling, lethargy, loss of appetite, and disorientation. In the worst cases, seizures and loss of consciousness could occur. Lifelong injections and a change in diet are the most common treatments for this condition. Other health issues that could affect your Japanese Chin include patellar luxation, cataracts, corneal ulcers, and progressive retinal atrophy. These conditions, if detected early, are manageable with vet-prescribed treatments. The average Japanese Chin will live between 12 to 14 years. Almost cat-like in nature, the Japanese Chin is a laidback, quiet pup with an inquisitive expression and an independent streak. These pups decide when they want to be held and snuggled, not the other way around. Some of the traits of the Japanese Chin depend entirely on the genetics of the parents. Not just as a breed, but as an individual. If one parent boasts aggressiveness towards other people and dogs, it is likely the offspring will have the same trait. Proper training and socialization begins in the puppy stage to ensure a friendly, affectionate pup. Other dogs and the Japanese Chin usually get along well, especially if they are raised together. These beautiful purebreds need very little exercise to maintain their lithe, low-energy figures, so a short walk a few times a day would suffice. If you want to treat your Japanese Chin to a new, fun experience, take him to a dog park for a romp with other small canines. During training sessions, the Japanese Chin’s compliance again depends on the genetic traits passed down from the parents. Most Japanese Chins are very intelligent and eager to please, so training one should be easier than training other purebred dogs. Keep your tone positive and upbeat, and keep your voice gentle and kind, but clear and concise. Sometimes the Japanese Chin will test your limits, albeit playfully, but remain steadfast in your role as trainer until the session has ended. Reward your pup with praise, encouragement, and bite-sized, meaty treats. 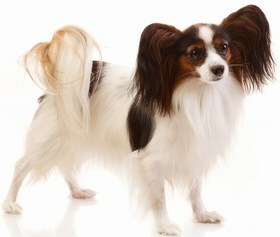 You would think that the grooming regimen for a Japanese Chin would be difficult since their hair is lengthy and fine. However, these pups have simple grooming requirements that involve daily brushing and bi-monthly trims. The most time-consuming must-do for a Japanese Chin is their weekly ear check. Look within and outside of each ear to insure there are no signs of infection, such as redness, unusual waxy build-up, an unpleasant odor, or oozing pus-like liquids. Then, with a cotton swab of baby oil or warm water, gently clean the outer rims of each ear. 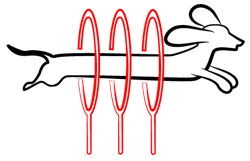 Never stick anything into the ear canals, as this could result in aggressive infections or a ruptured eardrum. The Japanese Chin packs a hearty, healthy appetite into a pint-sized frame. These pups could easily overeat, which is why you should implement a meal schedule to control their weight and overall good health. 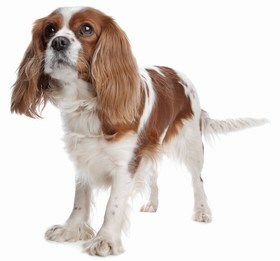 Feed your Japanese Chin twice a day, with ½ cup of high-quality, dry kibble for each meal. Keep in mind that every dog is different, regardless of breed. Your pup may have different nutritional needs than another Japanese Chin, so consult your vet for advice on the amount you should be feeding your plucky purebred. Looking for a Japanese Chin? While it is rare to find a Japanese Chin pup at an animal shelter, you might get lucky. If you happen to find your perfect Japanese Chin companion, the adoption fees range between $75 to $250. However, this excludes the costs of vaccinations and spay or neuter services, which drive up the price quite a bit. Adoption-wise, you could wind up spending around $500 for a Japanese Chin from an animal shelter or rescue group. If you choose to go the breeder route, collect lots of information to choose the best, most reputable breeder in your area. Japanese Chin puppies usually cost around $650 from a breeder. That price varies with AKC registration and AKC quality requirements. 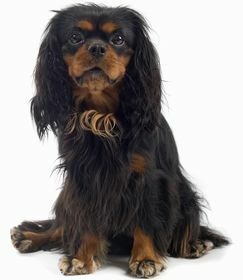 Be sure to ask to see the purebred parents, healthy histories, and purebred documentation before investing in a purebred Japanese Chin from a reliable breeder. Ranking takes into account a few basic factors including cost, skill level needed, high vs low maintenance and how critical regular training is to success. 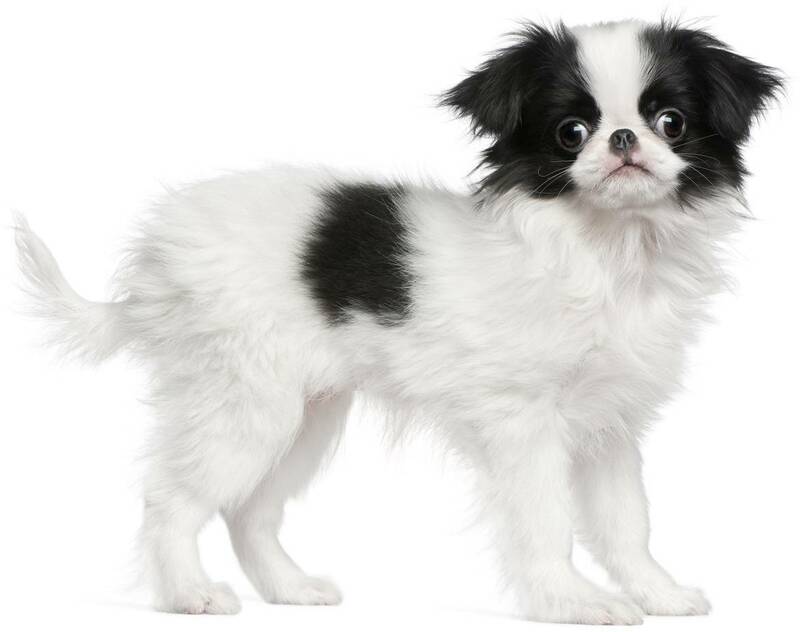 As a companion purebred, the Japanese Chin ranks a 1.5 on the integration scale. These pint-sized pups are sweet and loving once bonded with their pet owners, but they may be overly wary, or even somewhat aggressive, around strangers or unfamiliar dogs. This trait usually depends on their breeding and genetic predisposition. However, with proper training and socialization, the Japanese Chin would make the perfect pet for anyone who loves snuggly, cuddly, affectionate pups.